A small Phase I clinical trial in the USA has just shown that adding IV (intravenous) vitamin C to gemcitabine, a common chemo drug for pancreatic cancer extended patients’ average survival time to 12 months, compared to historical survival times of 5.65 months for such patients. More remarkable is that three of the patients were still alive at the end of the trial (two at 15 months, one at 29 months survival time) which means overall survival could further increase. Pancreatic cancer strikes 44,000 Americans every year and is the fourth leading cause of cancer-related death in the USA. Despite conventional medicine’s best efforts, the mortality rate of pancreatic cancer remains tragically high at 80 percent in the first year after diagnosis. Because of this, doctors have started looking to complementary, natural treatments as a means of improving patients’ prognosis—and IV vitamin C has now done exactly that with remarkable, clinically demonstrated results. 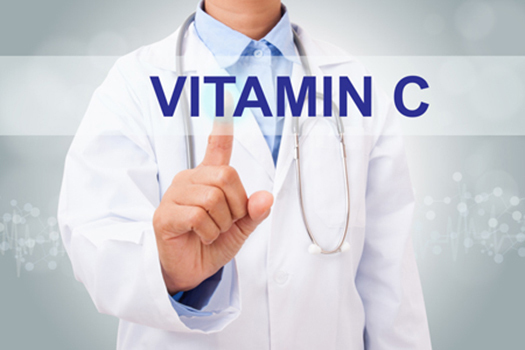 Doctors at the University of Iowa Carver College of Medicine ran a Phase I study in which 50 to 125 grams of vitamin C were infused into patients once per week on a weekly cycle. Gemcitabine, a standard chemo drug for pancreatic cancer, was also administered on a weekly cycle as per normal. The average treatment duration was six months (range: 60 to 556 days) during which patients lost an average of only five kilograms, which is much less than expected. Side effects of the IV vitamin C treatment were generally mild and included diarrhea and dry mouth. Apart from increasing survival time to 12 months, the IV vitamin C therapy also increased progression-free survival to 26 weeks (12.7 weeks have been reported in other trials). The researchers did not report on overall tumor size development except for one patient who experienced a dramatic nine-fold reduction in the size of the primary tumor after four months of treatment. This application of IV vitamin C is not new. In lab studies, high-dose vitamin C has proven to be potently cytotoxic to a wide variety of cancer cell lines as well as to boost the cytotoxicity of several common chemotherapy drugs. This has been further confirmed in animal studies, where IV vitamin C decreases the growth rates of liver, ovarian, pancreatic, and glioblastoma tumors with dosages easily achievable in humans. 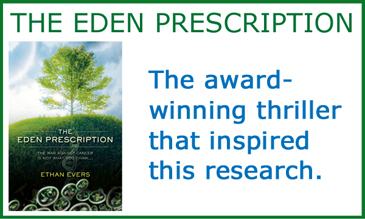 In human trials, this therapy has been shown to significantly improve quality of life for breast cancer patients and for patients of multiple other cancers. Just weeks ago, another study showed that IV vitamin C significantly reduced inflammation markers in 76 percent of cancer patients, which is important for a better prognosis. Just as impressively, the same trial showed that IV vitamin C decreased tumor markers in 77% of prostate cancer patients and 73% of breast cancer patients. Those considering IV vitamin C therapy for any cancer should keep in mind important lessons from other trials: namely, patients who begin this therapy earlier tend to respond better, as do patients who undergo more vitamin C infusions. The doctors who ran this pancreatic cancer study are calling for Phase II trials to verify the results on a larger scale. However, as IV vitamin C therapy is already available in clinics throughout the USA and has demonstrated few adverse events (even in the current trial), pancreatic cancer patients and their oncologists should urgently consider the option of IV vitamin C in addition to standard therapies in order to improve survival time.